Christian McCaffrey and the Stanford Cardinal will look to run Notre Dame out of the college football playoff mix. The Stanford Cardinal just keeps churning along. They enter a sequence of two big games—Notre Dame on Saturday night and the Pac-12 Championship Game against the UCLA-USC winner the following week—with a chance to reach at least the Rose Bowl, and maybe the College Football Playoff with a little help. And for my purposes as a handicapper, they’ve been an excellent bet all season long. Stanford is 8-3 against the spread (ATS), covering in five of six home games and going 3-2 on the road. They do it primarily with the power running game that has become a staple of this program under the current leadership of head coach David Shaw and his predecessor Jim Harbaugh. This year’s stud running back is Christian McCaffrey, a Heisman contender who has rushed for over 1,500 yards and is averaging nearly six yards a pop. 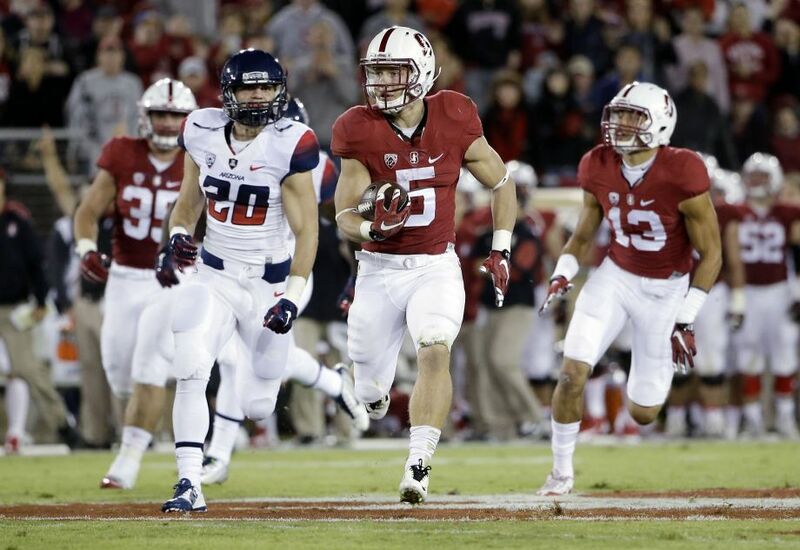 McCaffrey has also caught 34 passes for 416 yards, making him the Cardinal’s second-leading receiver. You don’t run the football like that without talent on the offensive line, and NFL people love the left side of the Stanford line, with tackle Kyle Murphy and guard Joshua Garnett. 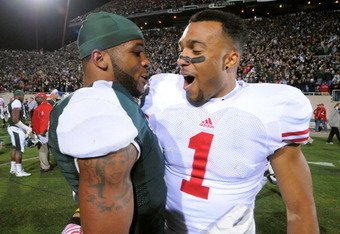 Both of them will be on your TV screen on Sundays next season. The combination of McCaffrey and the great offensive front has made Stanford that rare team that can not only run the football, but still be explosive offensively while doing it. It’s enabled the Cardinal to cover big pointspreads in conference games—they won at Oregon State 42-24, at home against Washington 31-14, and at Colorado 42-10 each time covering a two-touchdown line. Stanford dropped 50-plus points in easy covers over Arizona and UCLA, and they delivered another double-digit cover last week, beating Cal 35-22 as a (-10) favorite. Those type of offensive explosions are coming almost exclusively through the running game, which ranks 15th in the country. Quarterback Kevin Hogan is in his fourth year as a starter and he’s smart and competent, but his limitations along with that of the receivers’ corps have resulted in a passing game that ranks 79th.